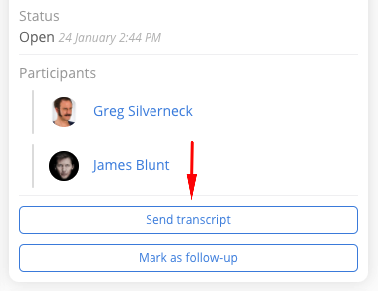 Click on Send Transcript in the right-hand panel in conversation view. Select which email address you want to send the email from. Click Send Conversation to send the email. 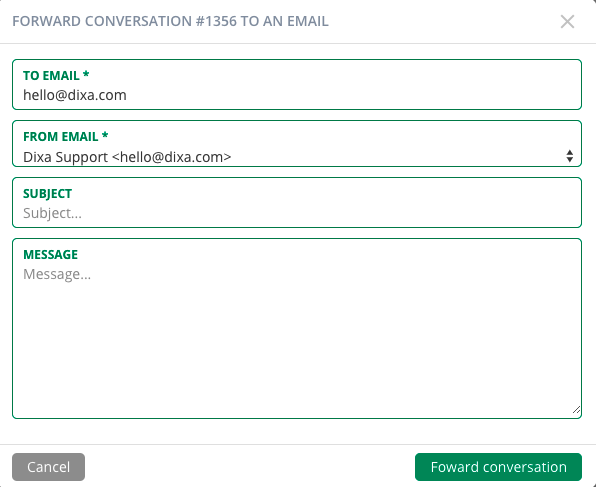 The transcript will not be saved in Dixa as new conversation.